Made with the explorer in mind, this fashionable watch from Mont Blanc is packed with features to answer all the needs of great mountain adventures. 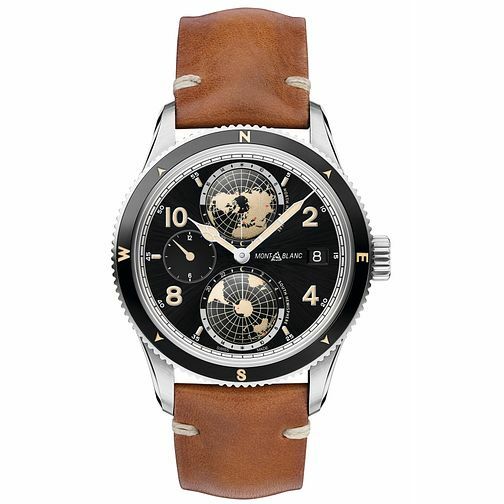 Retro and rugged in design, the black dial contains maps and a compass takes the place of the bezel. The date aperture is featured near the 3 o’clock and the sub dial displays the home time, so you can keep in touch when you’re on adventures away. Finished with a brown strap and stainless steel case.